If you need a prescription refilled immediately or are looking for over-the-counter medications to alleviate the flu or a headache, forget about finding a corner drugstore in Paris: they simply don't exist. 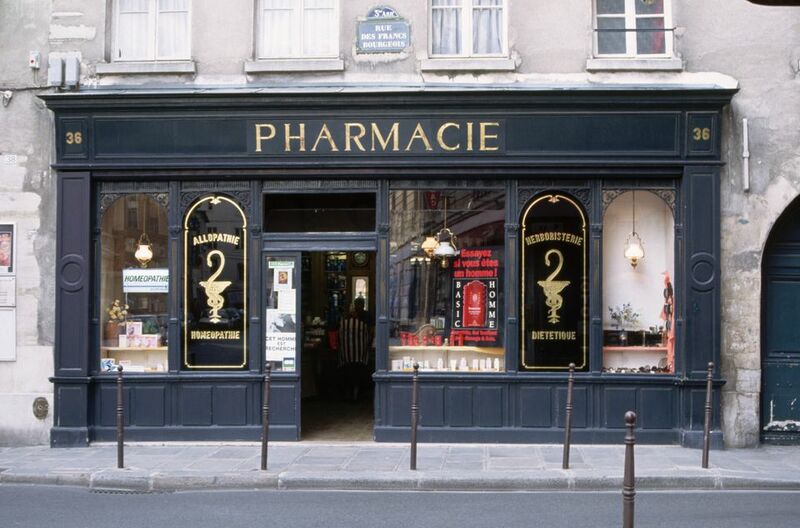 In France, only pharmacies are permitted to sell most over-the-counter medicines and remedies. And unlike many supermarkets in North America, French counterparts almost never have in-store pharmacies. To spot a pharmacy while walking around the city look for a flashing green cross above the door. And if you need one in the middle of the night or at an odd hour, consult this guide to Paris pharmacies open late or 24 hours a day. Head to one of these when you're staying on the right bank (rive droite) in neighborhoods including the Marais, Bastille, Montmartre, the area around the Louvre, Concorde and the Champs-Elysées. Open Monday-Saturday 10 a.m. to 9 p.m.; Sundays to 10 p.m.
Open 7 days a week 8 a.m. to 2:00 a.m.
Open every day, 7 a.m to 12 a.m.
Open Monday-Saturday, 8:30 a.m. to 9 p.m.; Sunday 9 a.m. to 8 p.m.
Open 7 days a week from 8:00 a.m. to 8:30 p.m.
Open Monday-Thursday, 8 a.m.to 12 a.m.; Friday. 8 a.m. to 1 a.m.; Saturday 9 a.m. to 1 a.m.; Sunday 10 a.m. to 12 a.m.
Open 7 days a week, 9:00 a.m. to 12:00 a.m.
Open 7 days a week, 8:00 a.m. to 2:00 a.m.
Open Monday-Saturday, 8:30 a.m. to 9:30 p.m. Closed Sundays. Open Monday, 9 a.m. to 9 p.m., Tuesday-Saturday, 8 a.m. to 9 p.m. Closed Sundays and bank holidays. If you're staying on the left bank (rive gauche), there are fewer 24-hour pharmacies nearby. The nearest one may be on the other side of the Seine on the right bank; use Google Maps or another app to locate the one that's closest. Open Monday-Saturday 9:00 a.m. to 9 p.m. Closed Sundays.